America: Land of the Free…And the Enlightened? Depression and Existentialism… Where to Sartre? In The Context of War, Do The Ends Ever Justify The Means? Free to Feel. Free to Share. Free to be Human. “To act,” according to Hannah Arendt, “means to take an initiative, to begin” (Arendt 177). However, if we were to take that as a complete definition, we would be oversimplifying the root of all political freedom. In order to further define action, Arendt refers to two Latin verbs that both fall into the umbrella term, “to act.” She defines agere as “to set something in motion,” and gerere as “the enduring and supporting continuation of past acts whose results are the res gestae, the deeds and events we call historical” (Arendt 164). Though agere appears to be, in itself, adequate enough to define action, the role of gerere in political action is equally important. The Romans recognized that a beginning or a founding had no significance if its affairs could not be kept or managed in the future. In this way, the American Republic will always be bound to the original foundation that our founding fathers have established. When we stray from our origins and the res gestae of our republic, we must realign our course for political action. The need for constant realignment means that the American Republic will never be fully reborn, and must be continually “re-founded” in the form of gerere. It’s a republic, madam. If you can keep it. The framers of the Constitution didn’t create a definitive map for us to follow blindly. They anticipated that we would be able to recognize their intentions and hold dear the principles that inspired the founding of our nation. 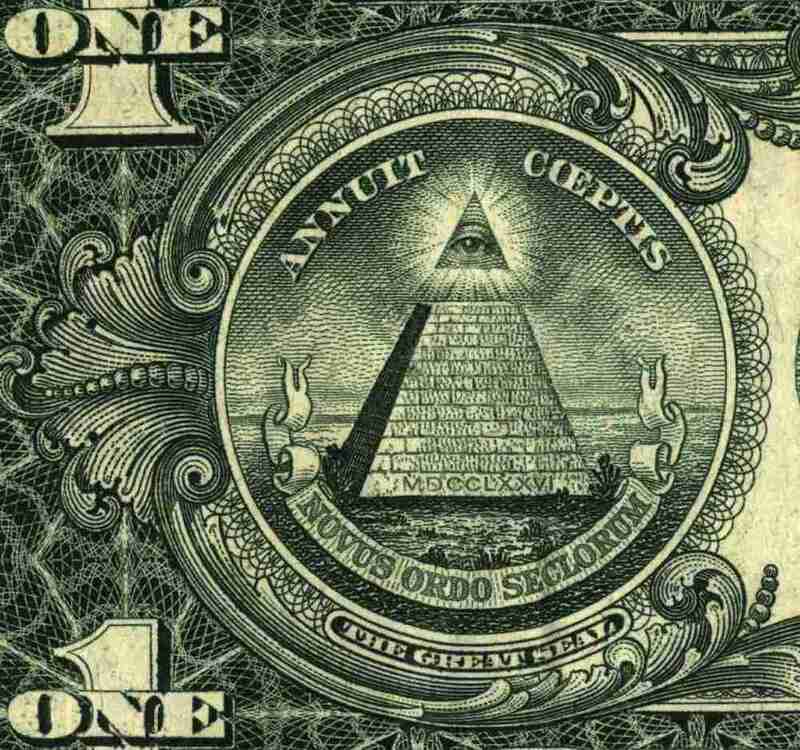 “Novus ordo seclorum,” Latin for “New order of the Ages,” has been printed on the United States one-dollar bill since 1935. However, this motto is ambiguous in its meaning. 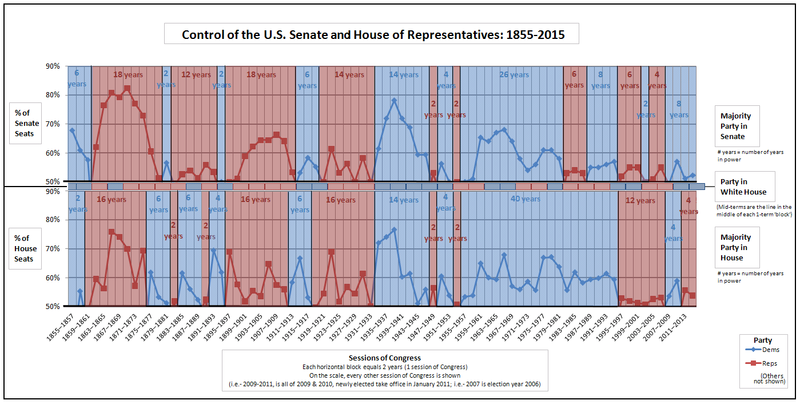 The American Republic is not “new” in the sense that there has never been a republic. The Roman Republic survived hundreds of years in ancient times, and the Athenian democracy also reigned among the Greek Polis. However, the American Republic does have the advantage of learning from these ancient republics. In this sense, the American Republic is a new republic; through the Declaration of Independence, our founding fathers brought the principles of the ancient republic onto the American continent. In his book, Juvenescence, Robert Harrison writes that “when the framers spoke of the ‘wisdom and maturity’ of the constitution, they were referring to its long-term projection into an uncertain future, and the future’s tendency to fall back into the senile ways of the past” (Harrison 102). The foundation of the American Republic is unique in this way; it provides not only that future actions are representative of the nation’s conception, but also that its own conception is a rebirth of the Ancient Republic. 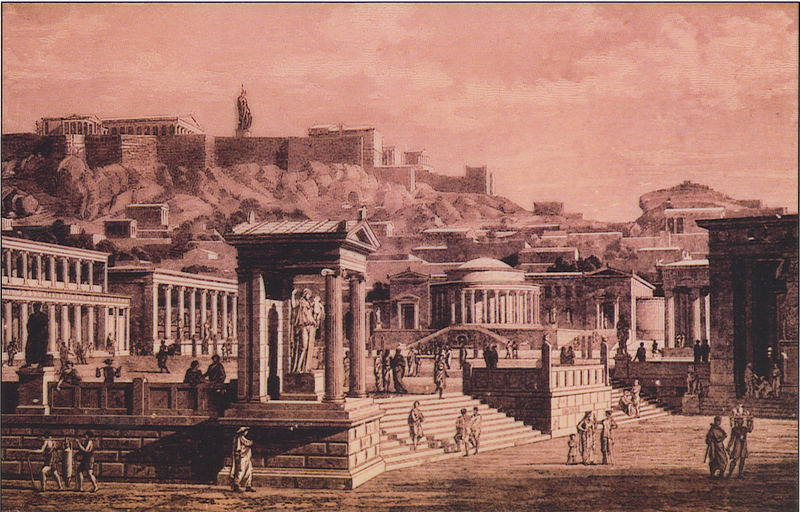 Luckily, the principles of the ancient republics were a great foundation upon which to build. After all, Arendt’s idea of a true democracy lies in the Greek agora, a public space for the gathering of the citizens and the transactions of goods and ideas. Surely enough, two years after the ratification of the Constitution, the framers added its first amendment in order to preserve the American agora by protecting freedom of speech, press, assembly, and petition. (Arendt 9). Thus, the “birth” of the American Republic manifests itself as an introduction of freedom. At just about 4400 words, the Constitution is surprisingly short, considering that it must provide the framework for our entire government. This leaves significant room for interpretation. So, how did this skeleton of a document become the oldest functioning constitution of any modern nation? The principle of pluralism, as emphasized by the truism “all men are created equal,” was the foundation for our budding nation, but misinterpretation of this principle has threatened the stability of the American Republic. Pluralism, another human condition introduced by Arendt, can be interpreted as the condition that “humans are born equal, but they are also unique individuals” (Fry). In a republic, the latter part of this condition relies on the former; in order for individuals to express their unique opinions in an effective manner, they must treat counter-opinions as equals. On equality, Arendt writes, “If men were not equal, they could neither understand each other and those who came before them nor plan for the future and foresee the needs of those who will come after them” (Arendt 175). This compromises both the agere and gerere components of acting insofar as we are inhibited from both the act of beginning and the act of keeping. When we become trapped in our own opinions, sovereignty becomes a menace. Arendt writes, “If men wish to be free, it is precisely sovereignty they must renounce” (Arendt 163). According to Cartesian philosophy, where self-autonomy is the essence of freedom, this statement appears to be a contradiction. However, sovereignty is not simply the ability to act on free will or in self-interest; it is the irrational belief that our individual will must be attached to action. To subject ourselves to our own will would be an act of self-oppression insofar as we would limit the range of our own projects. Arendt quotes Rousseau that “it is absurd for the will to bind itself for the future,” claiming herself that “a community actually founded on this sovereign will would be built not on sand, but on quicksand” (Arendt 162). If the American Republic had been built on the principle of sovereignty, we could very well have sunk into the “quick sand,” with each new sovereign act an additional weight on our already sinking nation. Our founding fathers foreshadowed the dangers of sovereignty: “The genius of the Constitution lies in the way it overturns the traditional foundations of sovereignty and invests it in ‘we the people’” (Harrison 104). By emphasizing unity as the solid ground on which they can build their new republic, the framers introduced the dogma for their posterity to follow. (Lincoln 91). Faced with this threat, Lincoln reverted back to none other than the Constitution by quoting its purpose, “to form a more perfect union.” The framers had intended to create a government that could project itself into the future, but secession would result in exactly the opposite. After all, if the minority were to secede, then the minority of that group could also secede, resulting in exponential division—a less perfect union. Lincoln couldn’t convince either side to acquiesce. In the words of Arendt, “The famous sovereignty of political bodies has always been an illusion, which, moreover, can be maintained only by the instruments of violence, that is, with essentially nonpolitical means” (Arendt 163). Sovereignty is a form of pride insofar as it is a stubborn refusal to acquiesce, and conversely, political bodies often pride themselves on being sovereign. It is impossible for two opposing sides to maintain their own sovereignty in peace. They can reach an agreement only by giving up this sovereignty. Alas, in an attempt to maintain their sovereignty, the disillusioned American states went to war. 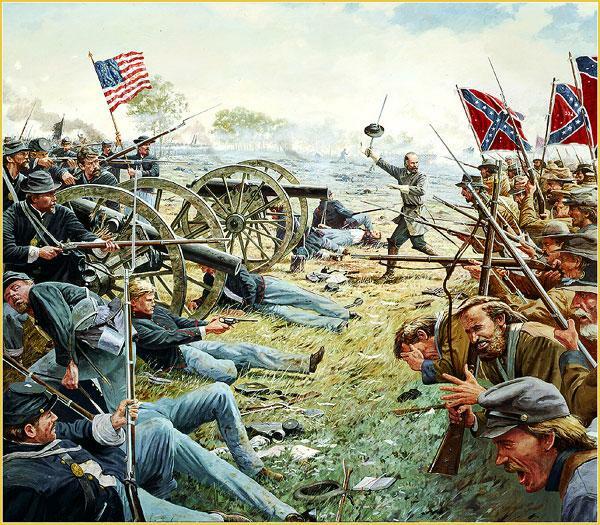 However, the Union still survived; how did the American Republic experience a rebirth through violence and bloodshed? Essentially, Lincoln’s ability to understand the intent of his predecessors saved the nation. After all, the words of the Constitution provide few explicit answers to the multitude of questions that can arise. Though interpretation of the Constitution is left primarily to the judicial branch, it is imperative that the leaders of our nation are able to empathize with our founding fathers. At the time of the Civil War, the Supreme Court had failed to recover the original spirit of the Constitution. Regarding the Fugitive Slave Law, Ralph Waldo Emerson described the court’s decision as a “wolfish interpretation” of the law. However, the framers were not wolves, but herders, and now, Lincoln needed to herd the sheep back together. 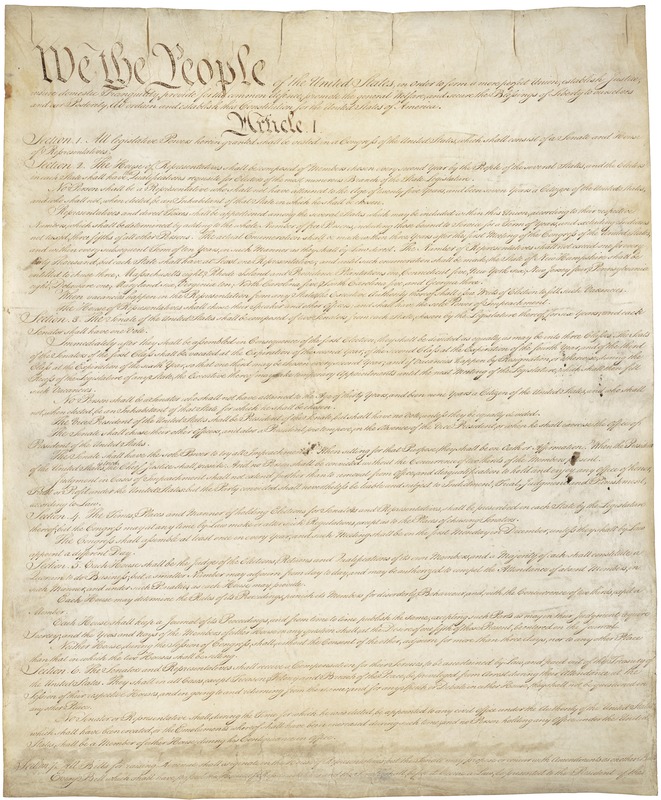 The ambiguity of the Constitution is the “tragic irony” of the American Republic—“that it was born defectively, or only partially, and it would have to be born again—not once but many times in the course of its future history” (Harrison). Again, we can see this in the purpose of the Constitution—“to form a more perfect union.” In his Gettysburg Address, Lincoln laid down the foundations for rebirth, if the nation could survive the war. With every rebirth, however, it is necessary to return to some original principle. The preservation of the union is a clear motive of the Constitution, but the document doesn’t include a single line regarding slavery; by what means did Lincoln justify abolition? He used the power of supposition. He recognized that the institution of slavery would not only threaten the unity of the States, but also contradict the founding principle of pluralism, as introduced in the Declaration of Independence. Not surprisingly, his decision was an accurate representation of what our ancestors would have done. When asked about slavery, George Washington responded, “I can only say that there is not a man living who wishes more sincerely than I do, to see a plan adopted for the abolition of it” (Washington). Lincoln reverted back to the natality of the American Republic by turning an earlier ideal into a reality. (Lincoln “Gettysburg Address”). Again, this reminds us of the Constitution’s motive, “To form a more perfect union.” By the blood of the martyrs, Lincoln hoped that his nation would be able to climb over the final peak of the war and cruise towards a renewal of freedom. Unfortunately, the Civil War was not the last obstacle for our nation to overcome; fast-forward one hundred years, and Martin Luther King, Jr. again embodies the struggle when he catalyzes the Civil Rights Movement. 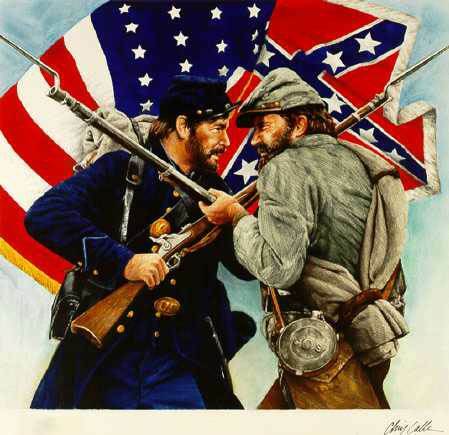 Both conflicts occurred in the “Civil” sphere, since the battles were fought among citizens of the same country, between brothers, in a way. 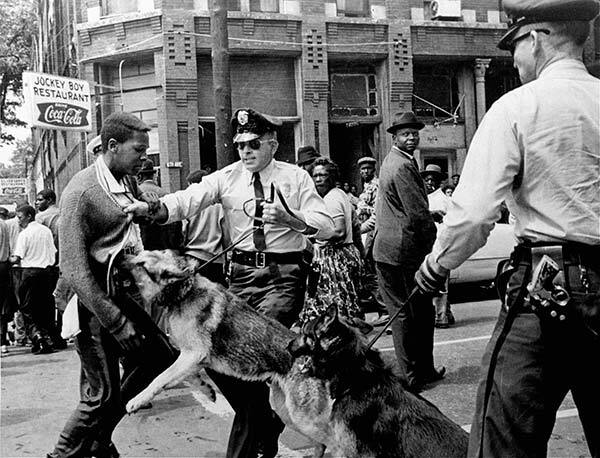 Whereas the Civil War divided the country spatially, the Civil Rights Movement divided us racially. Nevertheless, the underlying problem in both conflicts was a disagreement over the principles of liberty, justice, and freedom—a discord in unique opinions. Inspired by Lincoln, King was acutely aware of, even grateful for, his temporal location in history. In his “I’ve Been to the Mountaintop” speech, he exclaimed, “If you allow me to live just a few years in the second half of the twentieth century, I will be happy” (King “I’ve Been to the Mountaintop”). He recognized that only on the “mountaintop,” the metaphorical climax of his fight, could we see the possibility of rebirth. King believed he had fulfilled “God’s will” not because he was content with the state that his nation was in; equality was still far from a reality, and he acknowledged the “difficult days ahead.” Having fought the worst of his battles—from the “freedom rides” of 1961 to the “sit-ins” of 1965, all met with intense police brutality—King was confident that our nation would survive once again and be one step closer to our ideals of equality. Like Lincoln, King’s confidence was derived from his faith in our founding fathers. Through the Civil Rights Movement, he hoped to take “the whole nation back to those great wells of democracy, which were dug deep by the founding fathers in the Declaration of Independence and the Constitution” (King “I’ve Been to the Mountaintop”). King believed that these wells could be preserved even when they were covered by the vices of sovereignty. He cried out in the spirit of the Constitution, “Now let us maintain unity!” (King “I’ve Been to the Mountaintop”). In the moment of national crisis, resolution lies in the rebirth of founding principles. Arendt, Hannah. The Human Condition. Chicago: U of Chicago, 1958. Print. Arendt, Hannah. “What Is Freedom?” Between past and Future; Eight Exercises in Political Thought. New York: Penguin Group, 1954. 142-69. Print. Champlin, Jeffrey. “Born Again: Arendt’s “Natality” As Figure And Concept. “Germanic Review 88.2 (2013): 150-164. Academic Search Premier. Web. 25 Nov. 2014. Publishing, 2009. ProQuest ebrary. Web. 25 November 2014. Harrison, Robert Pogue. “America: The Struggle to Be Reborn.” The New York Review of Books. NYREV, 25 Oct. 2012. Web. 25 Nov. 2014. Harrison, Robert Pogue. “Neotenic Revolutions.” Juvenescence: A Cultural History of Our Age. Chicago: U of Chicago, 2014. 98-111. Print. King, Martin L., Jr. “I’ve Been to the Mountaintop.” Memphis. 3 Apr. 1968. Speech. Lincoln, Abraham. “Gettysburg Address.” Gettysburg. 19 Nov. 1863. Speech. Washington D.C. 4 Mar. 1861. The Spirit of American Philosophy. New York: G. P. Putnam’s Sons, 1970. 86-94. Print. Washington, George. Letter to Robert Morris. 12 Apr. 1786. MS. Mr. Vernon, Virginia. Fighting for Freedom with Martin Luther King Jr.
Is Our Obsession with Innovation Destroying Our Universities? Responsibility & Unity: The Freedom of Martin Luther King, Jr.